I made this card for the Embellish Magazine Color Trends Challenge. 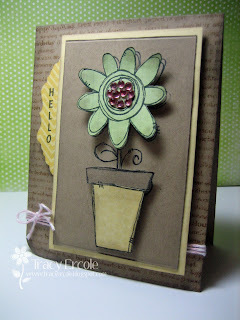 I used Kraft card stock and distressed the edges of the card stock and patterned papers with Pumice Stone Distress Ink. The patterned papers are from the Bo Bunny Ad Lib Collection & Kaisercraft Rewind Collection. The stamp is Pot-a-Flower from Purple Onion Designs. I also used pink twine from The Twinery, Kaisercraft Rhinestones coloured with a Copic marker, Hero Arts Cling stamp, Happy Definition and sentiment from Claudia & Company, So Random Sentiments Set. Tracy, I love your card. Bo Bunny is one of my favorites but I have never used the Pumice Stone Distress Ink. Where do find that? I think I would love it. Love your blog too. The ribbon in the background is so colorful and fun! 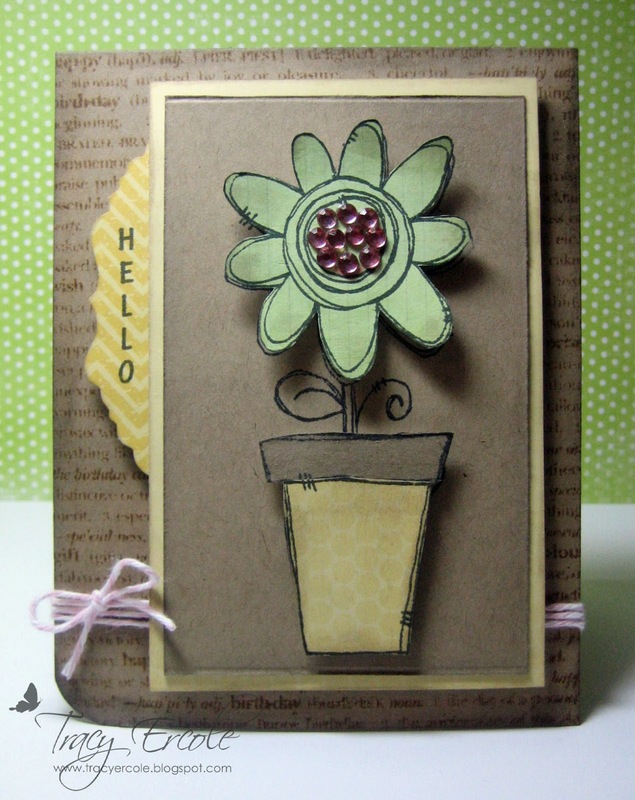 The flower pot is such a cute focal point! 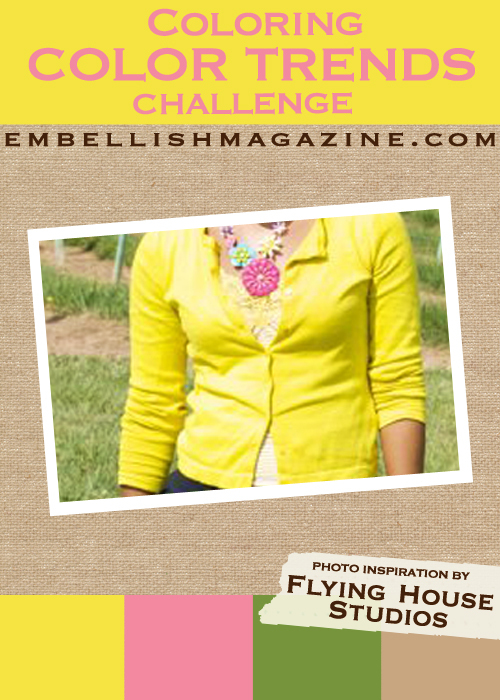 Thanks for taking on our Coloring Color Trends Challenge! Love your little Hello tab and your paper pieced pot! So cute!